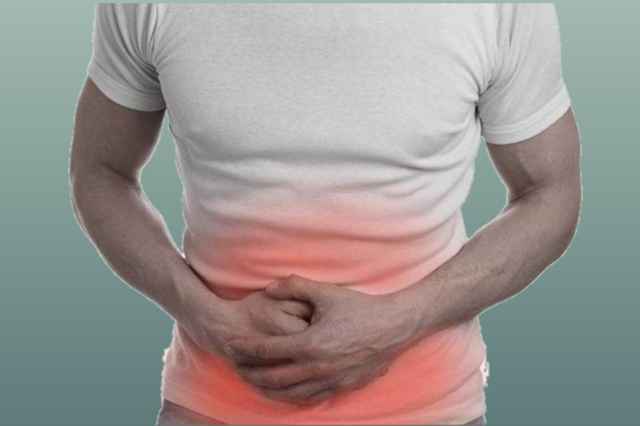 Gas and acidity:- Gas and acidity are a very painful problem. We are telling you what is the yoga for gas and acidity that you can get rid of stomach gas and acidity easily by doing it at home. All of us have faced the problem of acidity at some time in our life. Acidity is a very common condition in individuals and it is a direct result of unhealthy eating habits. It is also known as acid reflux. Acidity produces restlessness in your stomach and an excessive irritation, where water can not even be defended. Let's know who is the yoga for gas and acidity, which helps in fixing gas and acidity. There are many common reasons for gas and acidity. This may be due to eating our food, which is highly oily, salty, spicy or sweet. Besides, excessive intake of caffeine, tobacco, and alcohol can make this problem worse. Another possible cause of acidity can be sleeping immediately after eating food. There are many symptoms of acidity such as anxiety and heartburn, there are problems with nausea and vomiting and sometimes constipation. These symptoms can be painful and uncomfortable. The easiest way to stop the effects of this acidity and avoid it is Yoga posture. Let's know some yoga postures for its treatment. Ardhmatsyasandras is a very good detox, which we can give to our body. It exits toxins and enhances blood circulation, in return, it gives oxygen to your digestive system and reduces gas and acidity. To do this posture, you should first sit on a yoga mat and put it in a dandasan. Keep your leg on the side of the knee side of the left foot. Keep the spinal cord straight, turn your neck shoulders and waist right. Stay in this posture for a few seconds and then do this whole process with the other leg. Balasan is very beneficial in gas and acidity in the stomach; Balasan is the one that strengthens your body. It relaxes the body's functioning and gives relief from acidity. When you are in this seat, this posture will massage and strengthen your organs. To do this yoga posture, first of all, you sit on a yoga mat or in a knee-jerk. Keep your hips on your ankles, take the breath inwards and keep both of your hands straight upwards, keep your palm open and keep the fingers straight. Leaving the breath to the outside, slowly move the upper part of the body to the floor and keep your forehead (the head) on the floor. In it, both of your hands will stay straight on the floor. Do this asana for at least 1 to 2 minutes. Downward Facing Dog Pose helps to eliminate stomach gas and acidity. When you do the downward breathing posture, the body weight is transferred to the arms and legs. This seat also helps in giving oxygen to your stomach that relieves irritation. To do this posture, first of all, stand on a mat. Keep a slight difference between your feet. Now bend downwards, keep both of your hands on the ground, keep in mind that both the arms and the spinal cord should be in a straight line. In this situation, you will look like an inverted V but it will form an angle of 90 degrees between your legs and chest. Warrior-2 or Virbhadra-2 is a powerful yoga posture for relief in acid reflux. It strengthens the digestive system and relieves acidity. It ensures proper functioning of all organs and cures other problems related to stomach. To make Virbhadra-2, you should first put a Yoga mat on a clean place and stand on both feet of 3 to 3.5 feet spread on it. Straighten the two hands straight to the ground and rotate the toe of the right foot 90 degrees and the left foot claw 45 degrees. Turn your head in the direction of the right foot and turn right knee 90 degrees. In this situation, you stay 30 to 60 seconds. Marjariasana is very helpful in getting rid of the gas produced in our stomach. The practice of this asana enhances blood circulation and massage the digestive organs. This will give you immediate relief from acidity. To do this posture, you should put both your hands on the knees on a yoga mat on the ground. Keep your torso parallel to the floor. Now put your breath in the back and lift your chin upwards. After this, leaving the breath out, lower your head and try to chin down your chin. Straighten your head while leaving the breath again. Make this posture at least 5 to 6 times. Vajrasan helps in fixing the gas and acid formed in your stomach. This strain enhances blood flow to the stomach and intestine and helps to digest food efficiently even if your digestive system is weak. To cast vigorously, you first sit on a yoga mat and kneel down on it. Put both of your hands on your knees. Take this posture from 5 to 10 minutes. You can do this even after food, this will give you relief from gas and acidity. Is effective in doing so. To do this posture, you should first sit on a yoga mat on the ground and sit in Padmasana or Sudhasan. Put both of your hands on the knees and sit in meditation. Bring the breath in. Now exhale the breath out and pull the stomach inwards in such a manner that the stomach and back may be found in between. Then take the breath in and relax the stomach. Repeat this verb again. Repeat Kapalabhati Pranayama for five minutes continuously. how to increase white blood cells home remedy? how to prevent pimples naturally at home?